In our final article on Fire Doors, Modern Doors are investigating the components of a Fire Door set. The BWF (British Woodworking Federation) Certifire Fire Door and Doorset Scheme have put great efforts into raising the awareness and understanding of the importance of compatibility of components within Fire Doors. Fitting an incorrect size component or material that has not been specifically designed to be used on a fire door could significantly affect the performance of a fire door set. The quality of the door hardware/ironmongery is essential in keeping the fire door in place in the event of a fire. Door closers, hinges, locks and latches are all considered essential ironmongery and must therefore carry fire test evidence to show their suitability. Cutting an aperture in a fire door creates a weak point that is most likely to fail if not filled with certified products. Along with glazing, the use of letter plates, air vents and spy holes are also common and these products will generally be required to be installed in conjunction with intumescent seals, pads or paste in order to maintain the certification. Glazed apertures are often required in both internal doors and external doors to fulfil the requirements of Part M (the minimum standard by which buildings should be made accessible to, and usable by everyone, including people with disabilities) of the Building Regulations but are regularly used to improve the vision around a building, as well as for maximum light transmission and safety. Ordinary glass cracks when exposed to heat while fire resistant glass can withstand exposure to the heat condition in a fire test of at least 60 minutes before it reaches a high enough temperature to soften it. Two main types of fire resistant glass are Pilkington Pyrodur and Georgian wired glass. Even the size of the glass and the method of its retention are important factors that influence its integrity. As the temperature approaches the softening point, a large sheet will tend to collapse earlier than a smaller one. On the unexposed face, beading retaining the glass is subjected to radiant and conducted heat through the glass and to convection currents at the top of the pane. For this reason when putting glazing into a fire door using the correct bead is as vital as using the approved intumescent glazing system and glass. Even when pinning or screwing the beads it is important to do so at the correct angle to ensure that if the bead burns away, the pins/screws will still hold the glass and seal in place. These operations therefore can only be carried out by the door manufacturer or Certified Licensed Converter or the door certification will be invalid. Fitting glazing should therefore never be done on site. It is important to note that no longer are fire doors only available in solid timber construction. 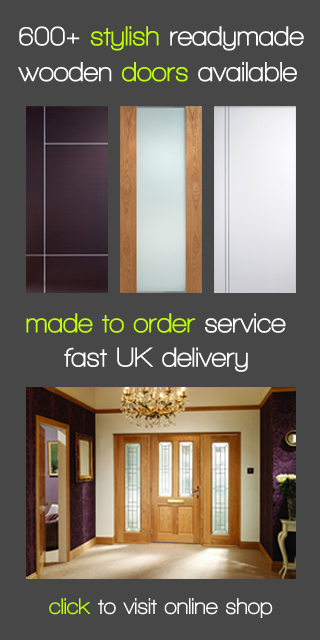 Manufacturers of fire doors now produce the doors using safer, more cost effective materials from sustainable sources. While solid timber fire doors are still available, flaxboard and wood composite door cores form the basis of the majority of constructed fire doors manufactured by scheme members. With the advantage of reducing the weight and cost of a fire door while still allowing the door to burn at a slow consistent rate. The door core is then covered by a moulded skin, veneer or laminate to suit the choice of the buyer and building’s interior. Can existing doors be upgraded to fire resistant standard? The most cost effective option for a fire door is always advisable to fit from new, however an upgrade to FD30 status is sometimes possible depending on the construction of the existing door. The door should have a solid timber or chipboard core, be at least 44mm thick and come with a sound frame that is capable of bearing the additional weight of the upgraded door. An unpainted door can be painted with intumescent varnish or paint to manufacture specifications and a painted door can be covered with an intumescent membrane with fireproof wood veneer facing. If glazed the glass panel (s) must be replaced with fire rated glass. The upgraded door must be re-hung with at least three fire protected hinges in order to prevent warping which would severely compromise the integrity of a fire door. Finally other modification such as the addition of intumescent seals will also be necessary.